Reza Shahabi, an imprisoned bus driver and prominent trade union activist, remains imprisoned and without much needed access to medical treatment. Meanwhile, Mahmoud Salehi has been snatched by the security forces from in front of a hospital at which he was receiving treatment only to resurface in prison. This is at a time when Ja’far Azimzadeh and Alireza Saghafi have been re-summoned to present themselves to the prison authorities, and Daud Razavi, another bus driver, will be arraigned before court in the next few days. Hamid Sharghi (a member of the UMMI) has already appeared in court and sentenced to two years imprisonment. Is this not an attack designed to push back the labour and trade union movement and deprive them of their brave activists?! Is it not for this the reason that the workers movement will no longer be confined to campaigning within the workplaces and cities – hitherto its chief arena – and are now extending their protests and influence throughout the land?! Is it not for this reason that the authorities attempt to rein in the unemployed movement and to neutralise the daily strikes of workers in the oil industry?! As far as the labour and trade union movement is concerned we will not retreat even one step back from our demands; primarily that the government of the Islamic Republic release all trade union activists incarcerated in the country, and that it ceases in all attempts to categorise trade union activities as violations of state security. We also demand that parliament ratify legislation to outlaw the postponement of the payment of wages of workers in the oil industry for six months by employers and contractors and, conversely, that parliament introduces a system of fines and penalties for such practices. 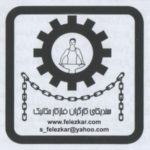 We believe in the legality of trade union activities and the right of such organisations to operate – that any attempt to restrict their activities is in violation of the Article 26 of the Iranian Constitution as well as Conventions 87 and 98 of the International Labour Organisation. Strike and protest are our inalienable rights and are enshrined in Article 27 of the Constitution and thus we declare that we will exercise them henceforth and not retreat even at the cost of our lives or at pain of death.